Shop all things skateboards here at RollBack. From complete skateboards to skateboard accessories, ramps, DVDs and more, whatever you need you’ll be able to find and order from Bedford's only skateboard shop. Whether you’re after some replacement skateboard trucks, wheels or bearings for your own board or are looking for skateboard decks as a present for a friend or family member, all such products are available at excellent prices. We stock skateboards and accessories from leading brands including Creature, Element, Fracture, Globe, Santa Cruz, Tony Hawk and more, so you know the products will be of the highest quality. Complete skateboards perfect for a child’s first board to a skateboard deck to replace your worn out old one can all be found. 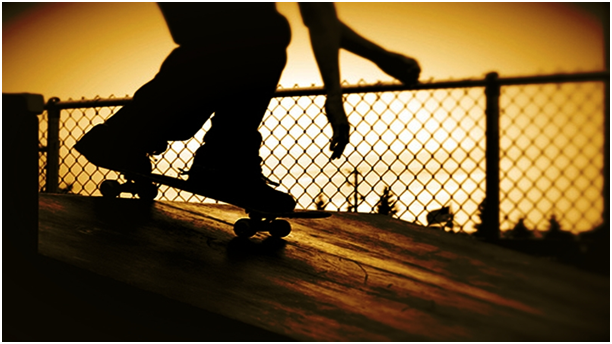 If you require some assistance choosing the best skateboards or skateboard accessories, get in touch with our friendly team who will be more than happy to help and point you in the right direction. Take a look at the massive range of skateboards, skateboard decks and accessories for sale online today.